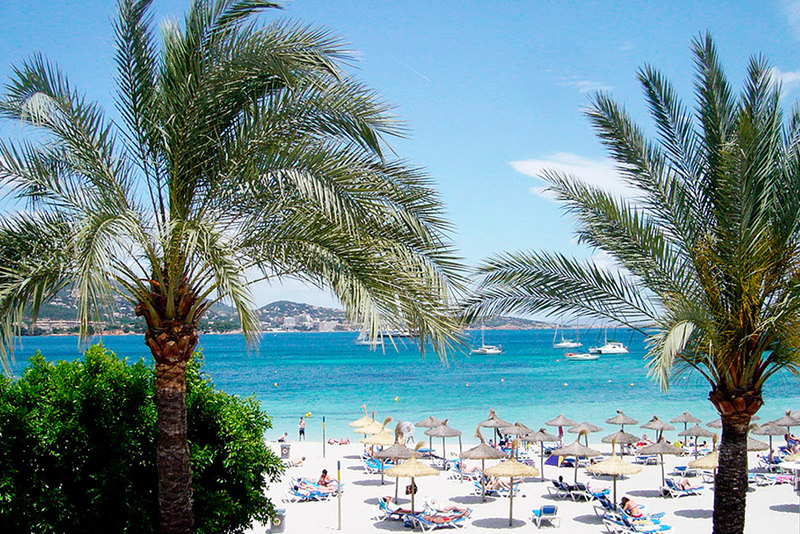 Our most southern hotel in Mallorca is located in a extensive coastline with Palma bay as main representative. It is part of the inlet of Portal Vells, and it is made of two little sandy beaches. They are separated by a building in ruins which was spotted in the movie with same name. 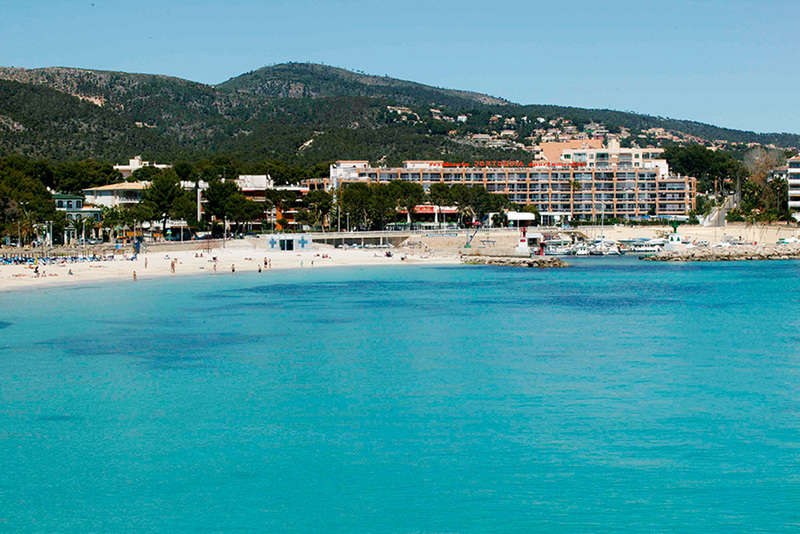 It is the first nudist beach in Calvià. An important element in this area is the sportive jetty in Puerto Portals. 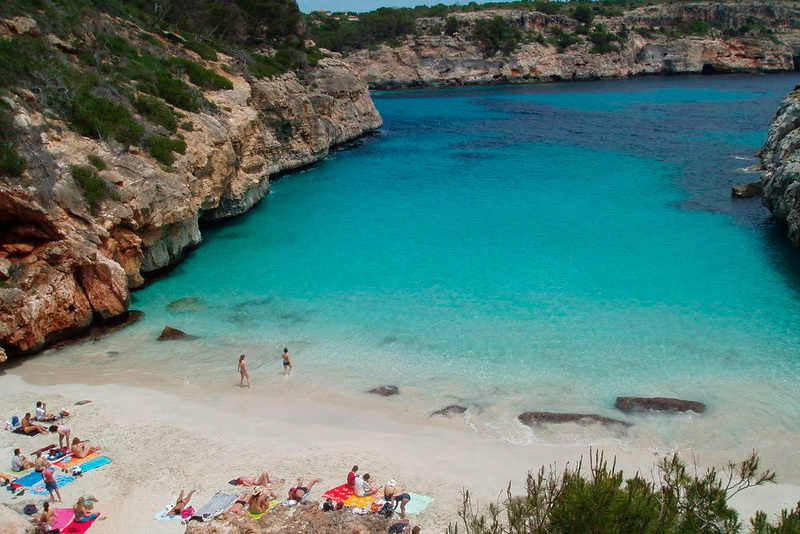 Son Maties is the most large beach, wide and opened with a regular structure and very closed to sa Porrassa and Cala Blanca. Distance from Mar Hotels Rosa del Mar: 2 minutes walk. They are part of the complex of Palmanova and both count 650 metres of sand. This beach is known as Morroco, the name of the first hotel built there. 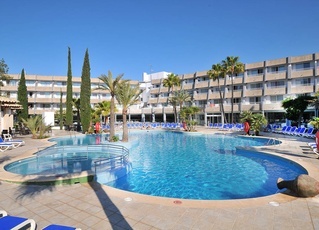 Distance from Mar Hotels Rosa del Mar: 4,1 km / 11 minutes by car. Cathedral of Palma: the treasure of the city has the biggest stained glass in Europe, characteristic example of Gothic style. And since a few months, you can visit its terraces with beautiful views. Old Town: Enjoy to the tour around Palma, which coordinates different architectural styles betwen art-decó and arabic, among others. Bellver Castle: this building is the only one with circular plan in Spain and amazing views of the bay of Palma. Port Adriano: its cultural policy agenda is full of events during the summer with expos, concerts and shopping areas as well. Puerto de Andratx: a mandatory stop where to watch the sunset from and participate in the quiet but enjoyable nightlife. Sant Elm: this coastal village keeps its essence and offers numerous walking trails, including the famous Sa Trapa. Nocturnal market: Every Thursday, Friday, Saturday and Sunday from 7pm until 12 am for summer you can enjoy to stalls with handcrafted and foodie products. Located from Jaime III to Sa Faxina. Plaza Mayor Market: throughout the year, you´ll find fair stands in the morning, almost every day. Meravelles Market: from May until October at night, in Arenal Street. From 8 pm until 12 am.